The Beehive Trail is 3.0 miles long, and is primarily used by motorcycles and mountain bikes. This trail begins at the Beehive Trailhead located on the Beehive Road 9712 and ends at the Upper Devils Gulch Trail #1220. Beehive Trail is rated an easy ride with a moderate grade through open pine forests. 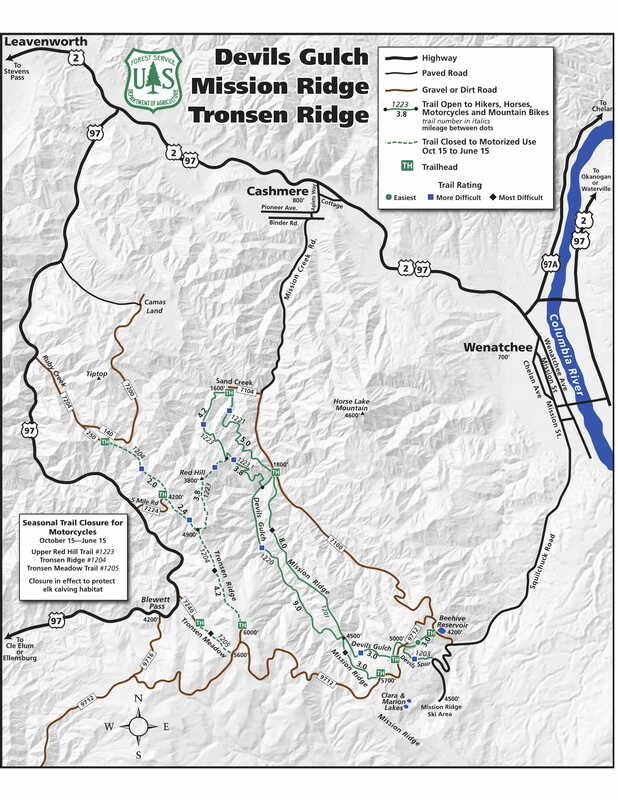 The trail provides access to the Devils Gulch/Mission Ridge trail system. This trail begins at the Beehive Trailhead located on the Liberty-Beehive Road #9712 and ends at the Upper Devils Gulch Trail #1220.